Serving Charlottesville and surrounding counties, and the Shenandoah Valley of Virginia. 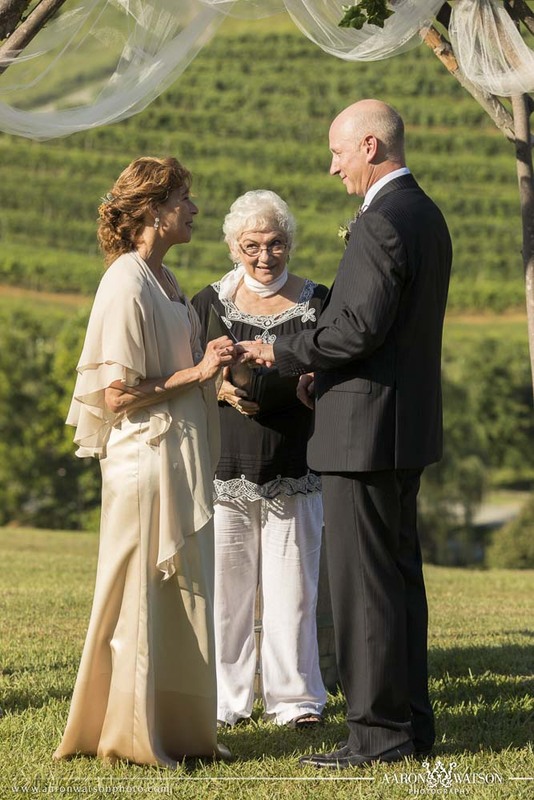 I am a certified celebrant through the Celebrant USA Foundation, an ordained all-faiths minister, and a certified wedding officiant in the Commonwealth of Virginia. I enjoy ceremony work for many reasons but most of all I love helping people find their core or their sacred space; and I get to go along for the ride. From our earliest beginnings we humans have had a need to share our joy and our grief with the people of our clan or our tribe. Although most of us no longer live in tribes or clans we do have a group of people we consider to be our community of family and friends. Many members of this community have known us since we were born and have been a part of other ceremonies and milestones that we have reached in our lives. As we all know, life has a rhythm and a flow unto itself. We are born, we marry, we have children, and we die. Each of these milestones are enhanced by bringing our community of family and friends together to share in our joy or our grief by participating in ceremonies that resonate meaningfully with our values and beliefs. of your two lives into one. I send you the first draft for your approval if you so wish. 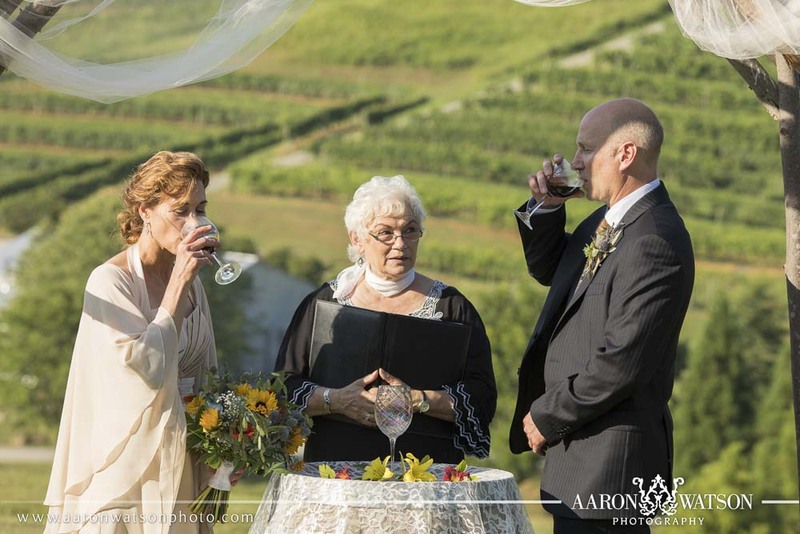 I have performed many elopements in people’s homes, at romantic Inns, stunning vineyards or beautiful stops in nature. The Shenandoah National Park and the Blue Ridge Parkway are some favorites. Originally from Westchester County, New York, I moved to Virginia in the 1970s. I am currently living with my husband David in beautiful Charlottesville, Virginia. I studied Religion along with Psychology and Education in college, and as a young adult I studied Eastern Philosophies and practiced Yoga and meditation. I was also interested in Native American traditions as well as Earth/Nature-based beliefs. I am comfortable with any type of ceremony as long as it is positive. The USA Celebrant Foundation taught me how to create very personalized ceremonies that reflect each person’s values. I enjoy ceremony work for many reasons, and I have written and performed hundreds of ceremonies. What I like most about my job is helping couples create a ceremony that will be a beautiful and meaningful start to their marriage. I love my job!